Over on Cisco’s Collaboration Blog Kim Austin posted an interesting article about video conferencing that we would like to share with you. In today’s digital age, we can look to technology to eliminate certain expenses as well as provide a convenience factor in almost anything we do. Having a conference or board meeting is no exception to that. Take a look at the four advantages of using video conferencing. No need to go through all the nuances of planning a trip to another city for a couple hour meeting. Simply go to your office, shut the door and connect with anyone around the globe. Sure, you can communicate through email and instant messaging, but having a real live video feed provides the face to face interaction needed that an email or voice call cannot provide. 3. Enhance communication across the enterprise. During board meetings you can just tune in and use chat to ask questions during the meeting or see other questions from your peers. Video will allow for freeing up time to create new ideas to give you an additional boost for inspiration. The Cisco 9971 is an executive class collaboration endpoint that delivers high quality video, voice, applications, and accessories. This phone comes equipped with desktop Wi-Fi connectivity as well as a new user friendly interface. 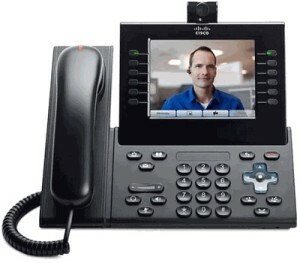 The Cisco 8945 Unified IP Phone comes with a built in high quality video camera. This phone is an innovative IP endpoint that is affordable. 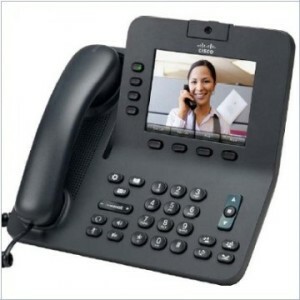 The Cisco 8945 provides a rich-media experience securely across any work space and with superior quality. This entry was posted in Blog, Cisco and tagged Cisco 8945, Cisco 9971. Bookmark the permalink.